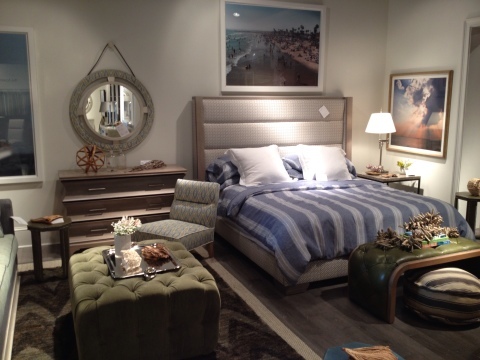 One of my favorite stops at market is Vanguard Furniture. I love the fresh design aesthetic of their furnishings. 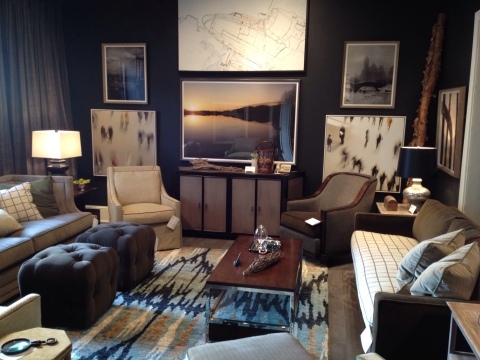 They have several designer collaborations, but I’m particularly fond of Thom Filicia’s collection. And yes, he is as charming in real life as he is on tv. I met him for the first time a few years ago & every time I see him he always takes the time to catch up & ask me how my family is & to see pictures of my kiddos. He also personally walks Vanguard guests thru his collection describing each piece along the way. It’s always such a treat! Take a look at some of my favorites from Thom & Vanguard. 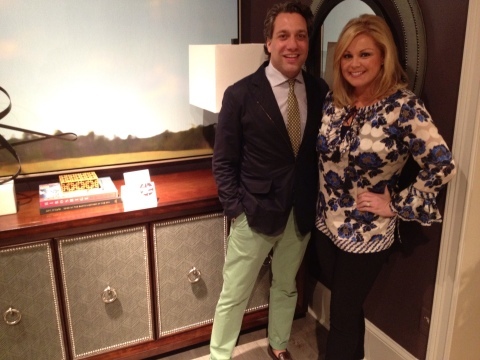 Thom & I with his console with upholstered inset panels. 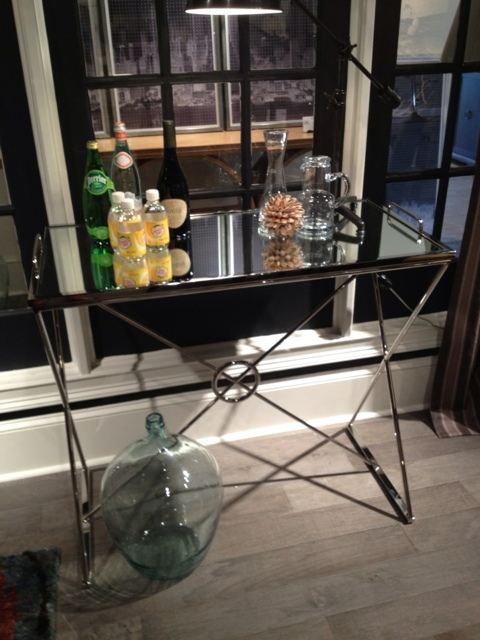 I loved this piece so much that I spotted it on the Style Spotter contest for the High Point Home Furnishings Market on Pinterest. Want more eye candy & inspiration from the Spring 2012 market? Head on over to my Style Spotter board on Pinterest. The voting has been extended until May 3rd so make sure to like, re-pin & comment! The winner will be announced Friday, May 4th.